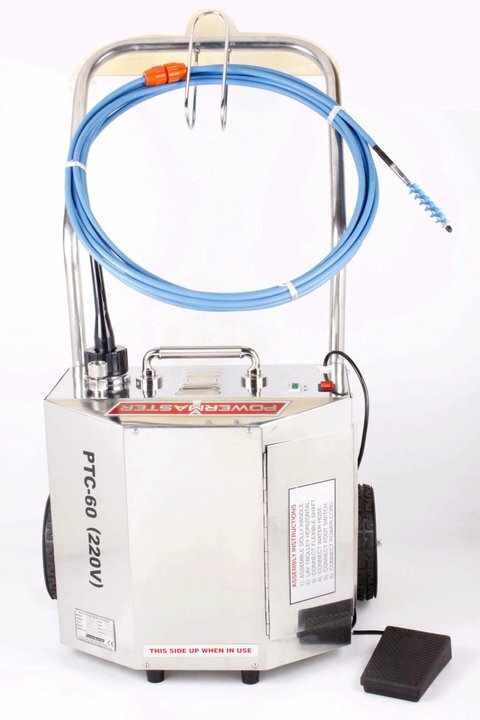 Flexible Shaft Machine is a self-contained portable unit, mounted on a 3-wheel trolley, fitted with a carrying handle. It incorporates a directly coupled, totally enclosed squirrel cage, 2800 rpm. continuously rated electric motor. Selecting the H.P. of the motor depends upon length and size of Flexible Shaft and nature of scaling. It is controlled by a push button starter which is provided with three thermal adjustable overload relays. Each machine is fully wired, carefully tested and is fitted with a 15-feet length of PVC Cable to main supply. Longer cable can be supplied upon request. Please consult us if your electric supply is different from listed below. Motors for alternate supplies are also available. 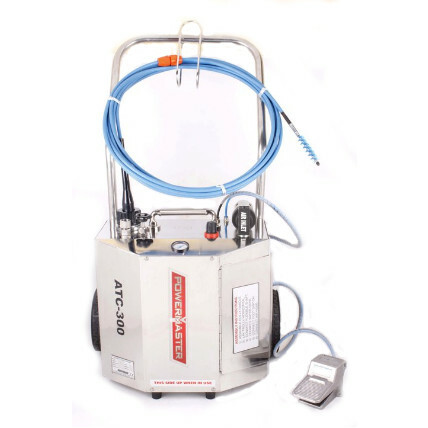 Electric Tube Cleaners with Variable Frequency Drive (VFD), facilitates control over speed of motor by varying the frequency as per our requirement. 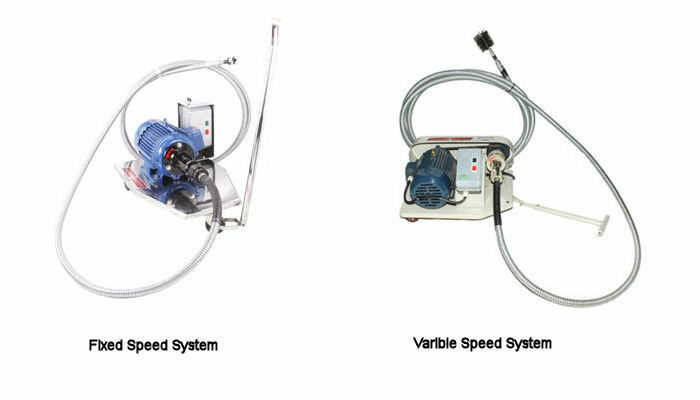 Adjustable speed drive in electro-mechanical drive system to control AC motor speed and torque by varying motor input frequency. Variable frequency drive used in a drive system have three main sub systems - AC motor, main drive controller assembly and drive operator interface. 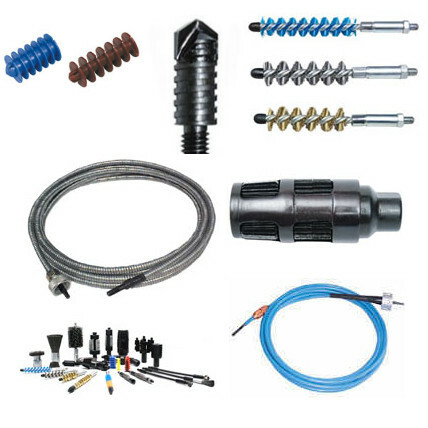 The Flexible Shaft transmits constant torque / power from the motor unit to the tool head or brush within the tube. Outer Casing - is flexible, made out of galvanized steel strip and provided with special steel anti-friction lining for the entire length. 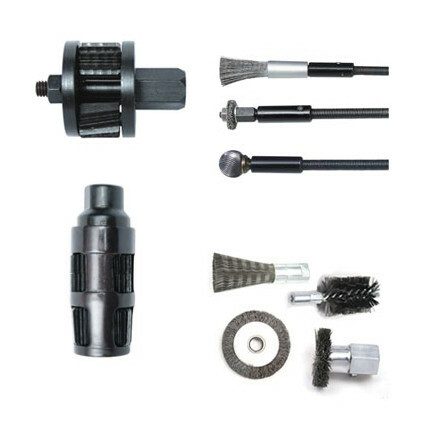 Connections - Suitable motor connection at one end and detachable ball bearing hand piece (tool holder) with threaded spindle for tool head or brush at other end. The size of the flexible shaft is based on internal diameter (I.D.) of the tube. The length of flexible shaft required is the addition of the length of the longest tube plus the distance between the mouth of the tube and the position of the power unit. 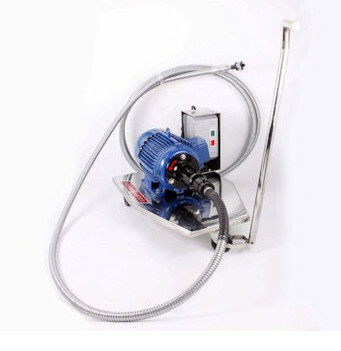 The power unit should be located so that the flexible shaft be kept as straight as possible.